Distinctive living in tranquil surroundings. East Ridge Village offers one-story, ranch style living - like living in your own home. 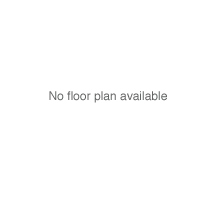 Spacious 2 bedroom floor plans. Convenient, private front entry with the back entry through a utility room, with full size washer/dryer, into a one or two car attached garage. First class appointments include cathedral ceilings, private patios, nice yard for rest and relaxations, full appliances package including stove, refrigerator, microwave, dishwasher, air conditioning and full size washer/dryer. You won't want to live anywhere else. © 2019 RentPath, LLC. All rights reserved. All photos, videos and floor plans are the property of RentPath, LLC. All text is the property of East Ridge Village Apartment Homes. RentPath is in no way affiliated with the management or ownership of East Ridge Village Apartment Homes.